The last major storm of the sequence occurred on Valentines Day 2014. 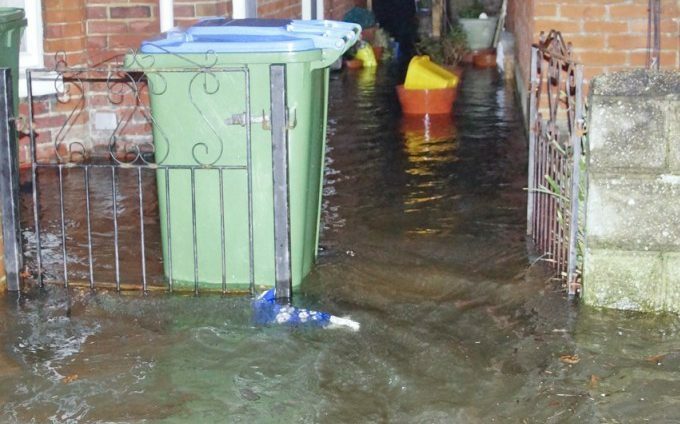 Across the UK at least two people were killed, the Thames burst its banks, trains were cancelled, major roads closed, and an estimated 165,000 homes and businesses were without power. 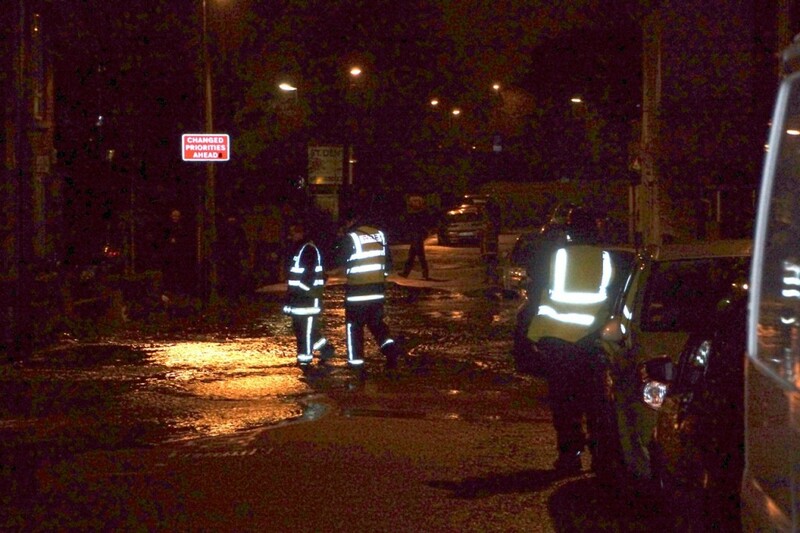 Valentines Day in Milford-on-Sea were rescued by the army as waves surged into the restaurant. 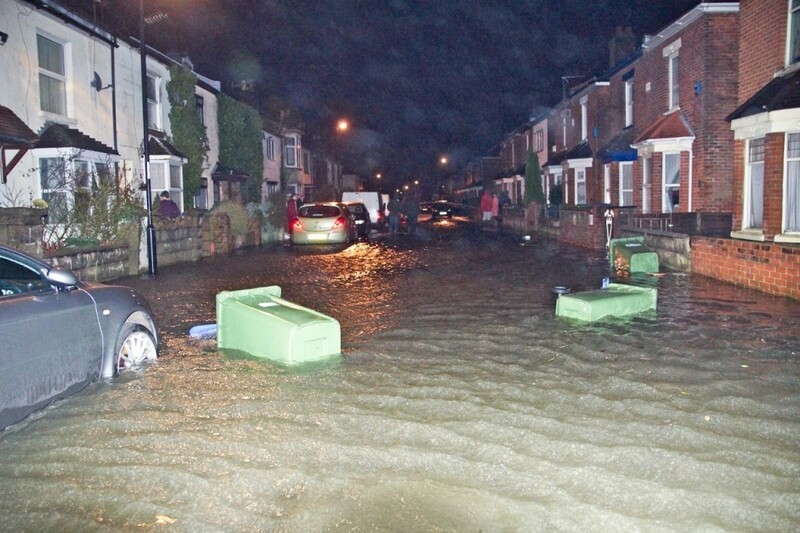 This major storm caused flooding in St Denys. 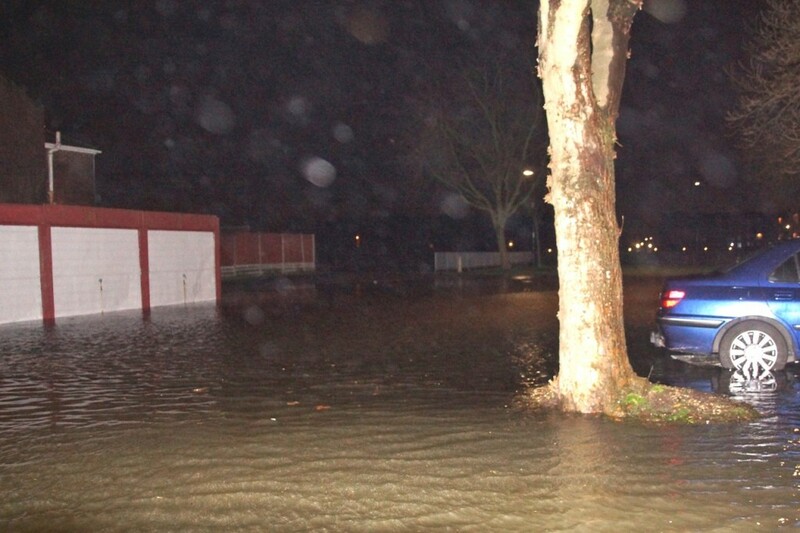 A Flood Warning was issued by the Environment Agency for the Itchen Estuary for the high tide between 11pm (14th February) until about 2am. 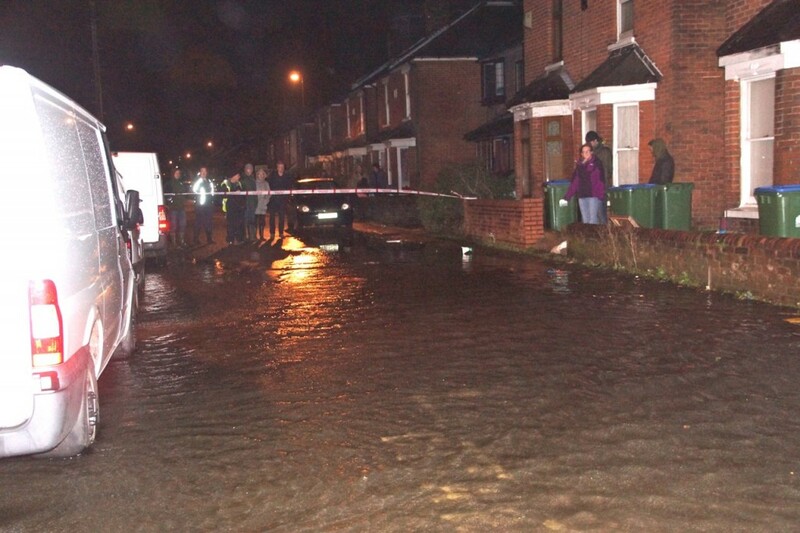 The Southampton City Council arranged for sand bags to be delivered to properties at risk and Hampshire Fire and Rescue were alerted to the possibility of flooding. 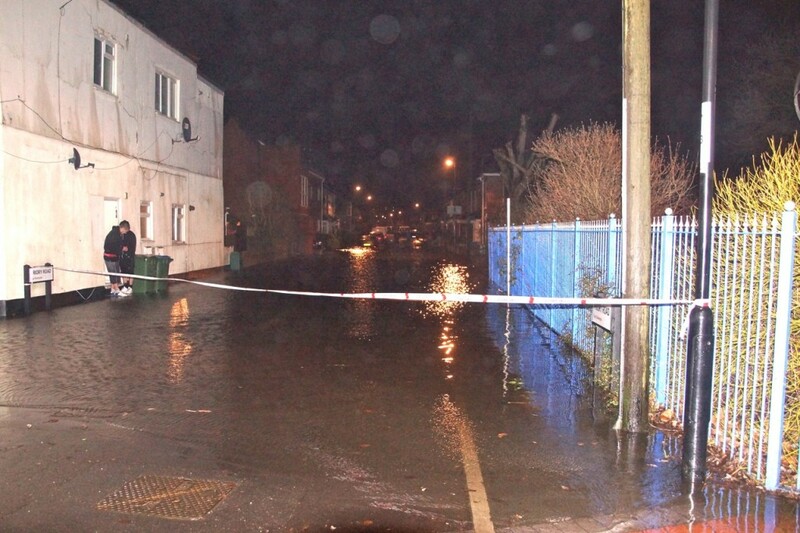 In the event a 1.2m storm surge added to a 4.4m astronomical tide to create water levels at Dock Head of around 5.6m. Storm force winds added to the problem by creating large waves on the river. 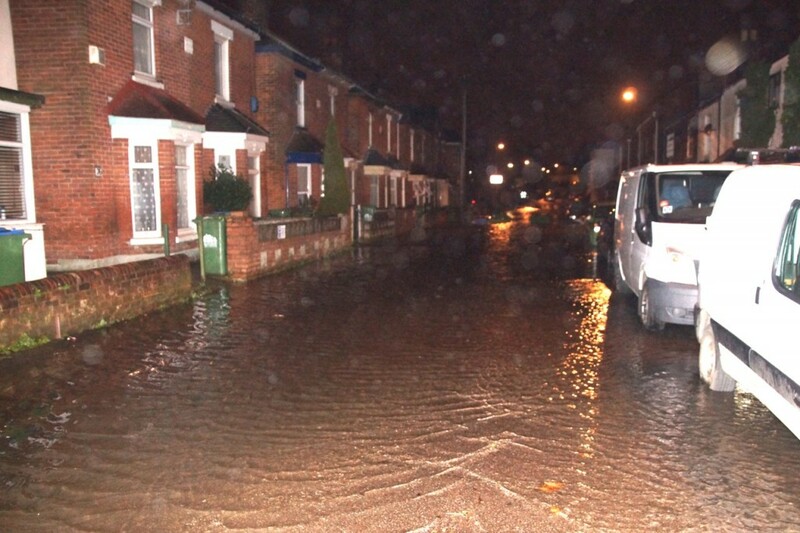 The result was flooding in Priory Road from about 1030pm until the early hours of the following day. Water levels were similar to those experienced in March 2008, previously the highest for which we have reliable records. Below are some images recording what happened during the event. 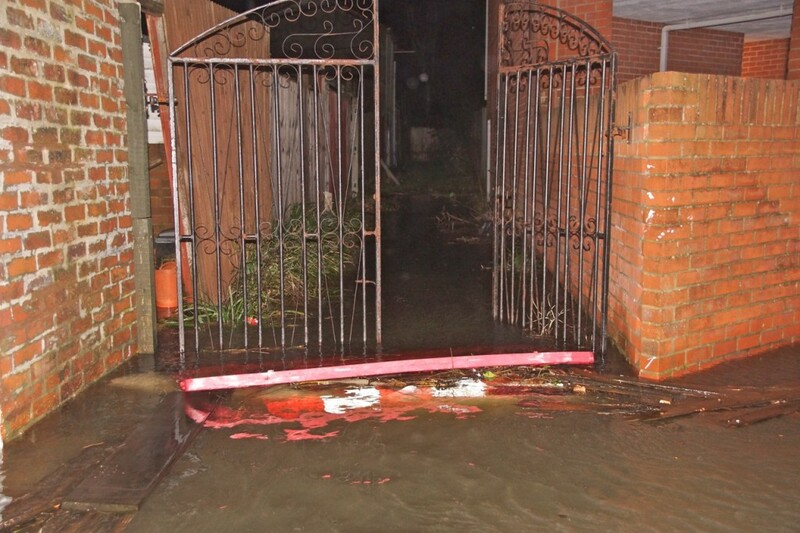 Despite the severity of the event only a few properties were flooded. 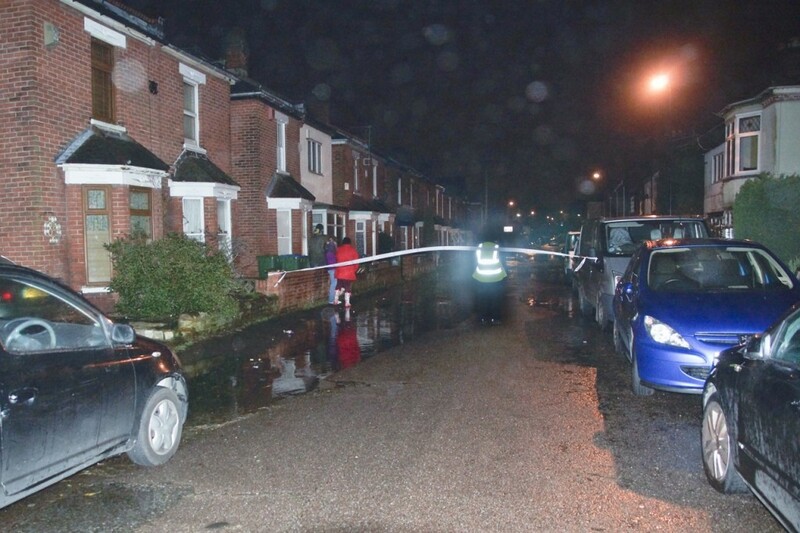 Those houses, and many houses which were not flooded, now have had property level flood protection fitted as part of the Belsize Flood Resilience Project. 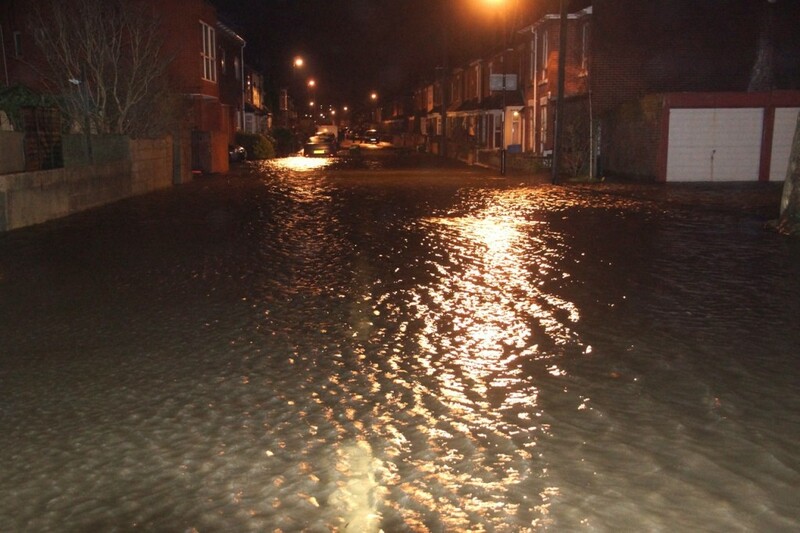 Click on the thumbnail image to view Ian Hogg’s photos and movies of the flood on the Flickr web site (opens a new window). Ian lives in Ivy Road. 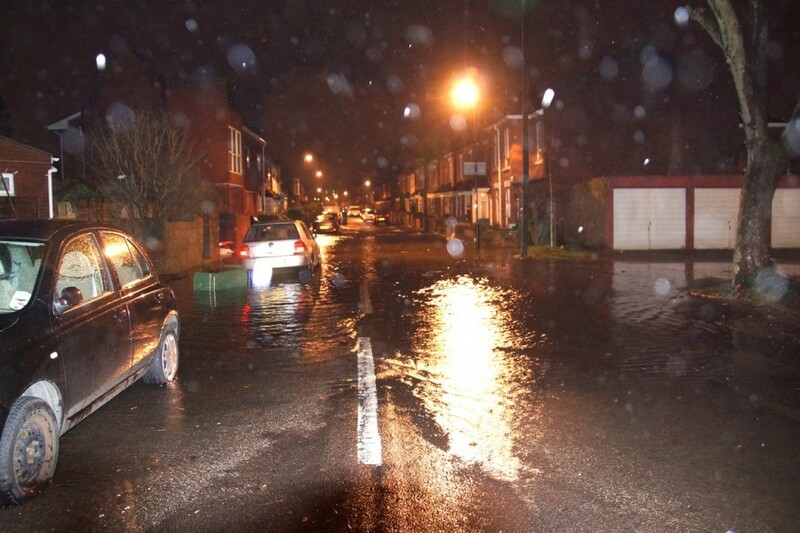 Click on the thumbnail image to view Niallf’s photos and movies of the flood on the Flickr web site (opens a new window). Niall lives in Quay 2000. 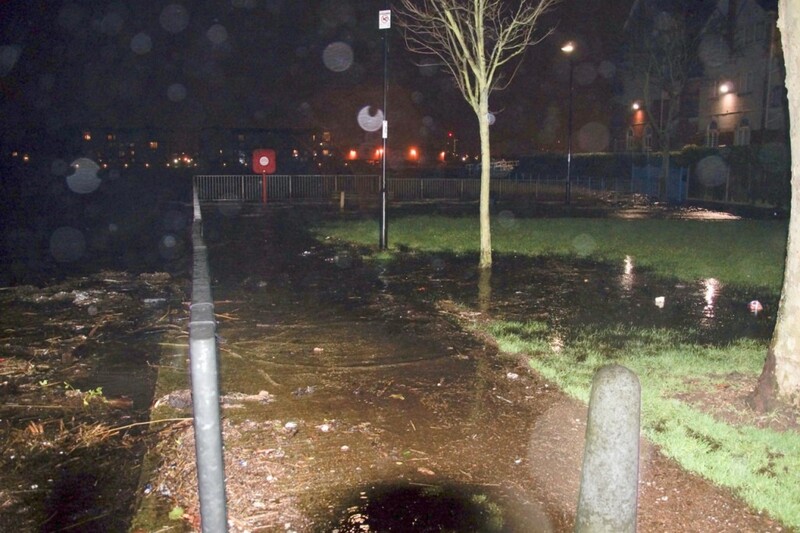 His photos of a very high tide on 3rd January 2014 may also be viewed on Flickr. 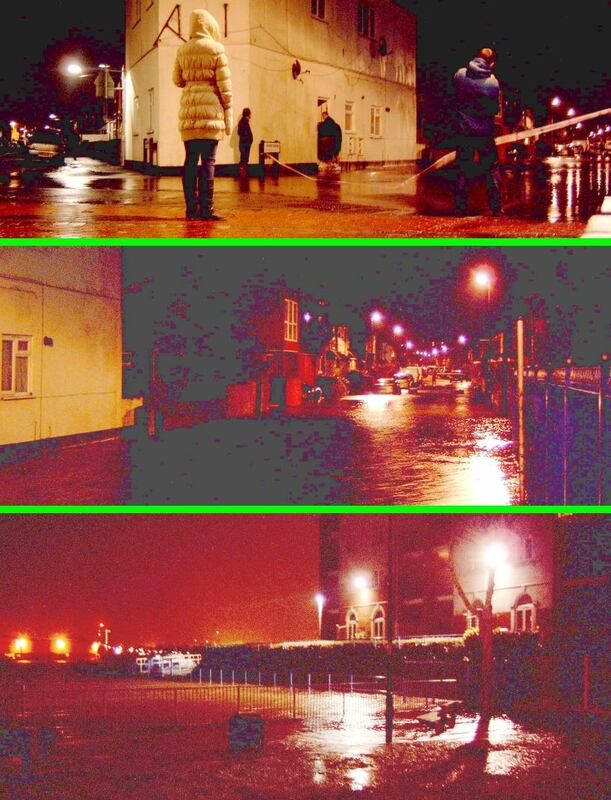 Nigel Cook, a resident of Ivy Road who had distributed warning notices about the flood to residents of nearby Roads (including Priory Avenue) has created this montage of photos taken from near the Junction Inn pub (click on image for full size view). Click on an image to view a slideshow of the photos. 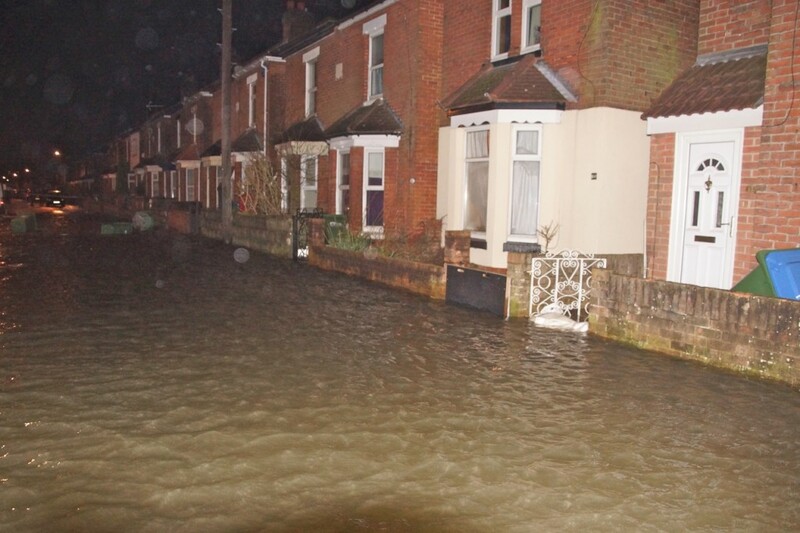 Peter lives in Priory Road just beyond the flooded area.